District Collector’s action against Dengue. Rs. 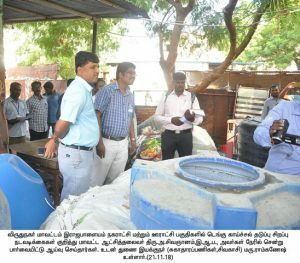 42,000/- fine, collected by district administration on Collector’s visit, from different persons and organization, responsible for breeding Dengue larva, because of negligence, on and around Rajapalayam in Virudhunagar district.